By 1763, the community of West Hoosac was already taking advantage of the optimism that comes with the sense of physical safety. Between 1753 and the year the town was renamed, the population grew from twenty-five persons in thirteen houses, to two-hundred eighty five persons in fifty-four houses. By 1770 those numbers had nearly doubled, and by 1776 over a thousand persons lived in nearly one hundred fifty houses. 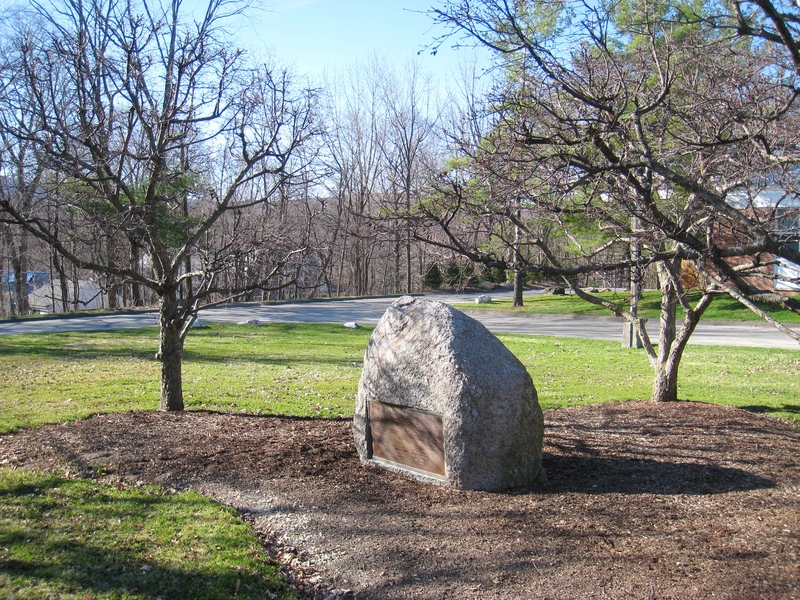 [i] Many of the new settlers had come from Connecticut and Rhode Island, purchasing lots west of what is now Field Park, and five miles further south, at the end of a road along Stone Hill ridge joining a juncture of four other old river trails now known as Five Corners. Two-fifths of the town’s total population had settled in “South Part,” as was then called the present Community of South Williamstown. Something of a housing boom also occurred around 1770. Residents no longer wished to live in the squalid “Regulation” houses, such as the one reconstructed in Field Park and required of the first settlers in their original deeds. Here below is Benjamin Simonds’ house built in that year just north of Williamstown on the west side of route 7, now named Simonds’ Road in his memory. He ran a tavern there, and it still operates as a comfortable B & B, lovingly restored to its eighteenth-century condition by David and Judy Loomis. 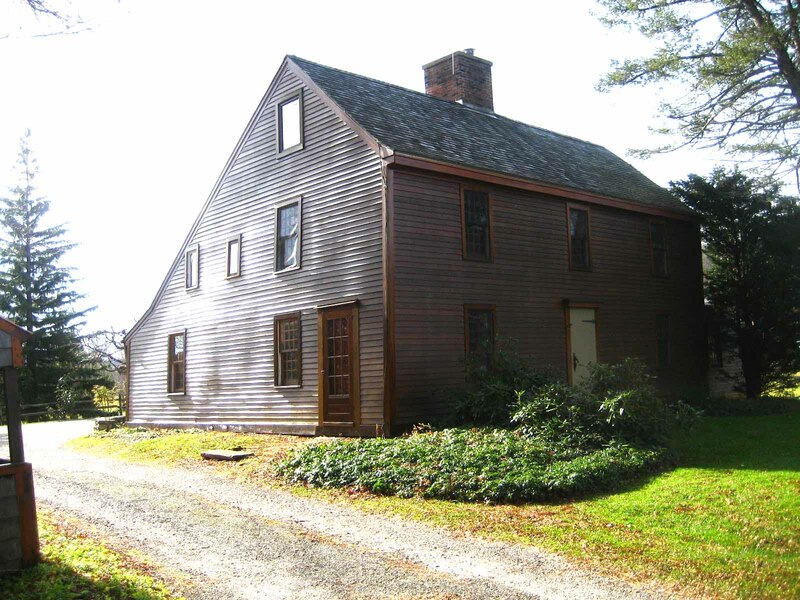 Isaac Stratton also built a handsome house in similar style in “South Part” with a particularly attractive Connecticut Valley Style doorway. 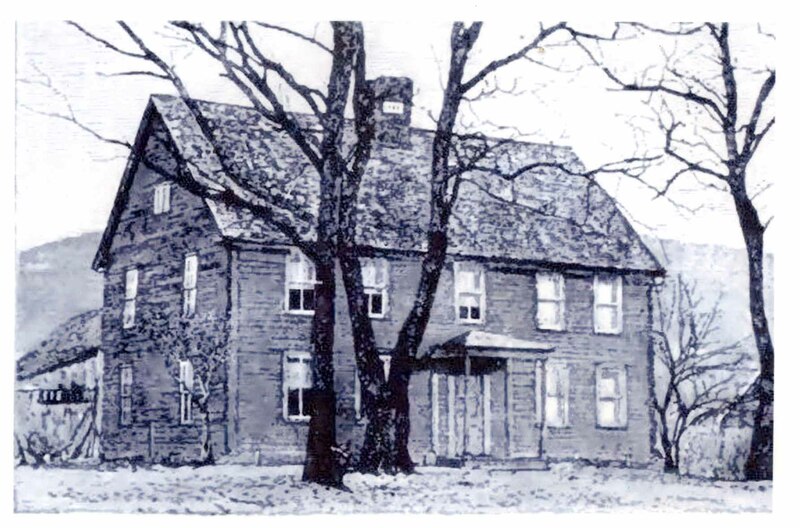 It once stood south of the road that is now route 7, catty-corner across the street from the Little Red School House. 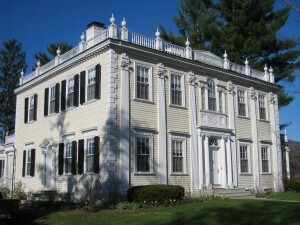 Unfortunately, in 1983, after a dispute with the Williamstown Sign Commission, the house was dismantled and rebuilt in Litchfield, CT, a foolish and tragic loss to the historic heritage of Williamstown. Three prosperous taverns operated in Williamstown in those years, their locations likewise expressing something about the town’s increasing attractiveness. Samuel Sloan ran a busy tavern in South Williamstown where now stands the Store at Five Corners. 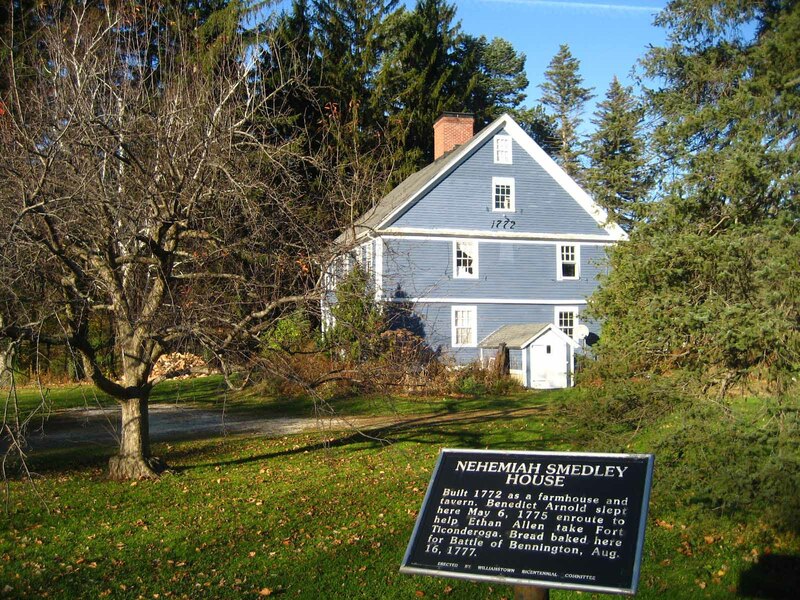 Simonds’ Tavern stood on the road just north of town; Nehemiah Smedley’s, below, on Main Street, route 2 just east of town center on the north-west corner of the Colonial Avenue intersection (now the home of Mrs. Lisa Kurpaska). The cellar still contains the brick ovens in which bread was baked for the Williamstown militiamen fighting in Bennington, and, as we shall see, Benedict Arnold tarried there one night on the way to begin an historic career of incredible heroism and patriotism before his infamous treason. Each of these taverns was directionally positioned to serve drinks and offer lodging to the ever more frequent travelers and homesteaders passing through our cross-roads community from the south, east and north respectively. Besides farming, land speculation was good business. From his early tavern in South Williamstown, Samuel Sloan went into real estate and made a fortune. 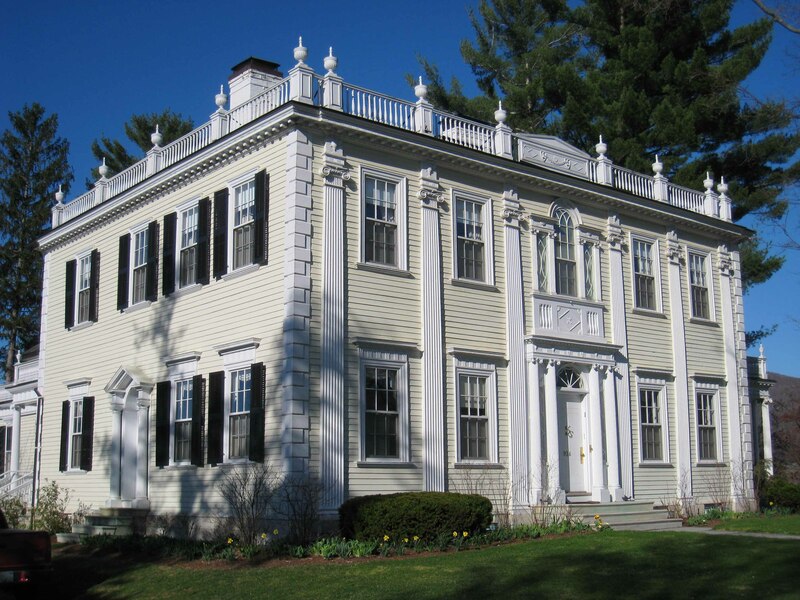 He became a general in the Continental Army and was rich enough in his old age to build a mansion uptown, a beautiful Federal-style building on Main Street in 1802, now the President’s House of Williams College. It was the grandest residence in the region until the rambling Victorian palaces appeared in south county, built by New York barons after the Civil War. Yet all was not peaceful in our prospering community. 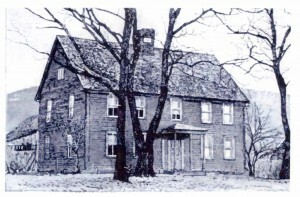 No sooner had the Massachusetts General Court incorporated West Hoosac as an official town bearing the new and proud name of its distinguished benefactor, than the overseas British government began to impose burdensome restrictions, especially taxes, intended to compensate the Crown for having saved the colonies from the French. 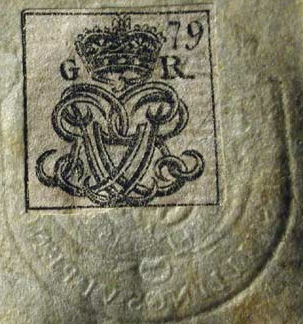 Among the most detested was the Stamp Act of 1765, demanding that every legal and printed document, such as deeds, wills, bills of any kind and even newspapers bear an official British stamp and seal indicating payment of a certain amount to the Crown. Above is an example. They were issued in several variations, each with a dye number (here “79”) indicating the type of document to which it should be affixed, and each at a different price which had to paid in British currency and not the provincial tender and Spanish coinage which mostly circulated in the Colonies. The tax especially effected merchants and lawyers, and every up-and- coming business man like Samuel Sloan whose transactions required paper records. Actually, the tax was opposed more for ideological than pecuniary reasons. Not so much because men like Sloan couldn’t afford to pay it, but rather because it seemed a pernicious attempt to hinder their entrepreneurship, to weaken American competition with British business interests. This is an important distinction. The oncoming American Revolution was not an uprising of the oppressed lower classes against an ancien régime of privileged aristocrats such as was the French Revolution, but rather a reaction of an increasingly entrepreneurial middle class who feared their prosperity and upward mobility were being stifled by a narrow minded mother country too distant to appreciate the opportunities the recent war had unleashed here, and too blind to allow them to be exploited without excessive interference. 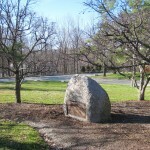 Bennington, the very first town founded (1748) in the so-called Grants, was the hot-bed center of New Hampshire’s claim, and neighboring Williamstown, which funneled many would be settlers coming north mostly from Connecticut (often attempting to escape the harsh Puritan communities in the latter), became Bennington’s strong ally, not only against New York but against Great Britain herself for supporting New York’s claim. So strong did this sentiment grow that in 1774 the men of Williamstown formed Committees of Correspondence and Safety, just as elsewhere in the Colonies. 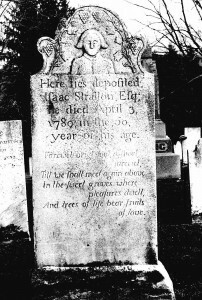 A local militia was also raised with Samuel Sloan as captain. Finally in “April of ‘75”, when that climactic “shot heard round the world” resounded in the Berkshires, Captain Sloan and his men marched off to join with other fellow Massachusetts militias in Cambridge. On June 17, his sixty volunteers from Williamstown and vicinity stood with Colonel Prescott on Bunker Hill, about to fire on British soldiers (but not until they saw the “whites of their eyes” as the colonel supposedly ordered) thus committing irrevocable treason against the English Crown, a capital crime for which they could all be hanged. [ii] During the ownership of William Young, the house was the meeting place for the local chapter of the Masonic Order. Captain Young even built a special meeting room still extant in the house with a vaulted ceiling decorated with a Masonic insignia. Since the early eighteenth century, Freemasonry had gained widespread popularity in England and her colonies, since its revived doctrine stressed the new Protestant trust in science and technology . as opposed to medieval (papist?) superstition. Also included among its members elsewhere in America were George Washington and Benjamin Franklin. 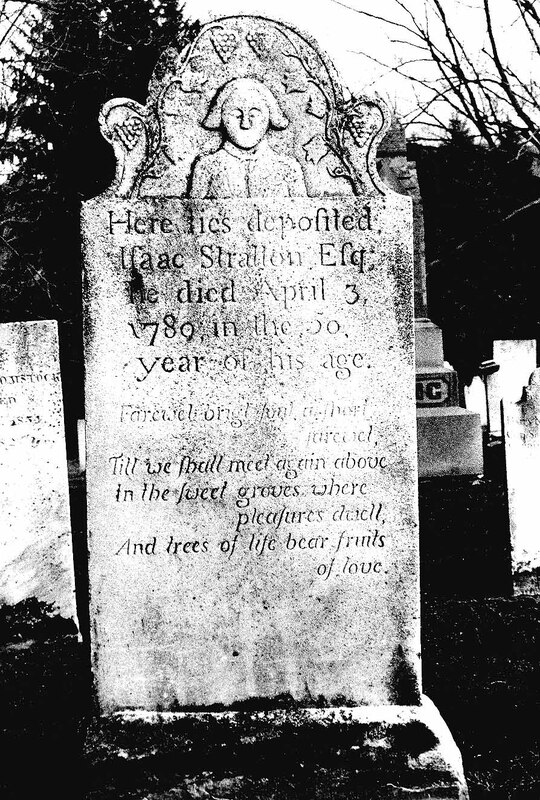 [i] The chief instigator of the Grants’ demands was, of course, Ethan Allen with his “Green Mountain Boys” whom we shall meet again in the following Installment. 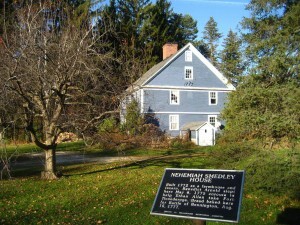 By 1777, Allen and his followers actually declared the independence of the Grants from both New Hampshire and the budding United States, calling his territory the “Republic of New Connecticut.” In the same year, however, the name was changed to “Vermont,” but finally became the fourteenth state in the new Union in 1791.